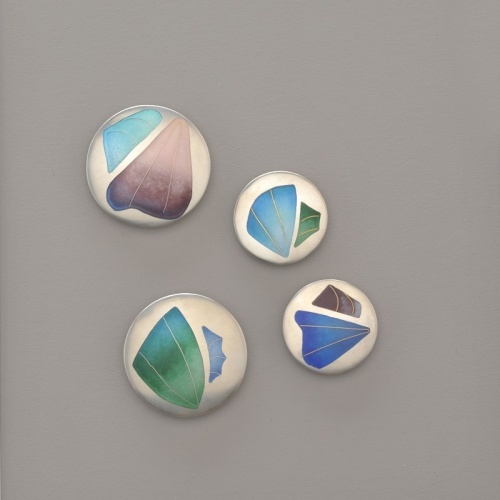 IN a quest to apply colour to her work, Helen Aitken-Kuhnen chose to work with enamel. After graduating from the Royal Melbourne Institute of Technology with a diploma in art, gold and silversmithing, she worked with specialists in Germany and London in the art of enamelling. Since then she has continued further explorations in enamel in Japan. Enamelling is a complex art and requires precision and patience. Aitken-Kuhnen has developed a particularly Australian approach to enamelling. As described in Nola Anderson’s catalogue essay, she has captured the exacting art to express fleeting moments from the natural world – parrots swooping in the sky and tropical fish darting in the ocean. “Flight” series shows birds playing on the currents and up drafts in bright bursts of colour on a glossy white ground with trails of silver emphasising their speed. For many years Aitken-Kuhnen has exhibited brooches of Australian birds, in particular cockatoos, with bright splashes of colour as the crests of these birds. The works in this show appear a little freer in the use of form and colour against the matt black background. 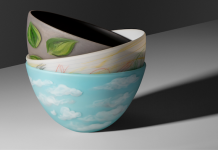 For the first time, Mio Kuhnen joins her mother Helen, in this exhibition. Undoubtedly, she would have been familiar with the jewellery-making processes used by Helen Aitken-Kuhnen and her father Johannes. 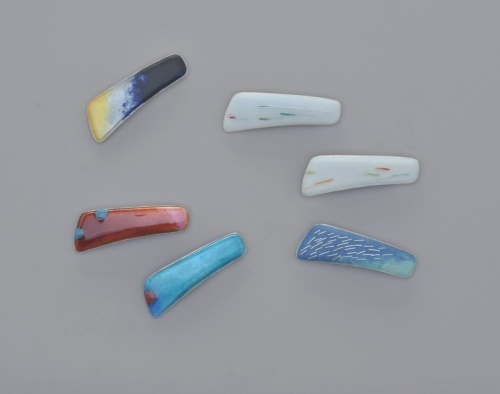 While she still works as an environmental scientist, specialising in marine and sedimentary geology, she has also been developing her jewellery practice, particularly enamelling. She has drawn on her knowledge of the layers in the earth’s surface, and in the ocean, and the maps produced by technological development. Following in the footprints of many wives of explorers before her, Mio Kuhnen is showing moth-shaped brooches and pendants titled Amazon (explorer’s wife). The overlapping wings give a sense of movement, but also show the moth in repose. This mother and daughter pair share some basic concepts and techniques but develop them in totally different ways. Helen Aiken-Kuhnen recently won a significant award in Japan, with little Australian fanfare. I believe she is undoubtedly Australia’s leading proponent in the art of enamelling, with Mio Kuhnen following close behind. This is an outstanding exhibition – perhaps the best at Bilk this year.